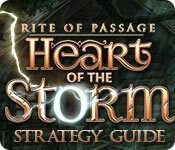 Rite of Passage: Heart of the Storm Strategy Guide is rated 3.5 out of 5 by 2. 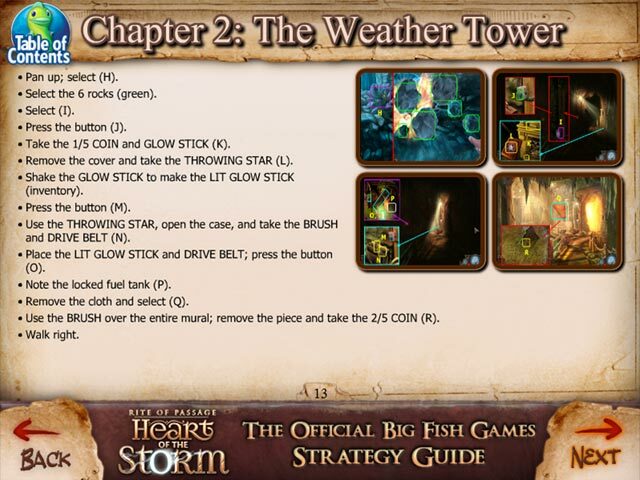 Rated 4 out of 5 by jap54 from Rite of Passage - Heart of the Storm I enjoyed this game but when I got to the Farm where I filled up bottle of water was stuck as I did not know what to do once the bottle was full of water. 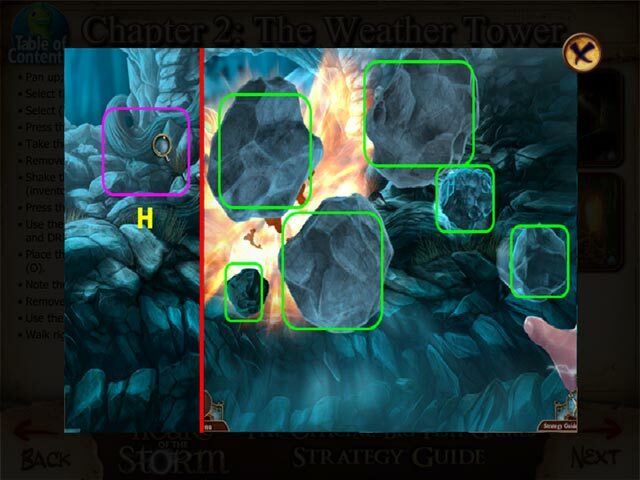 I tried getting hints but was not given any hints except pointing back to water hose. This spoilt what could have been a very enjoyable game. 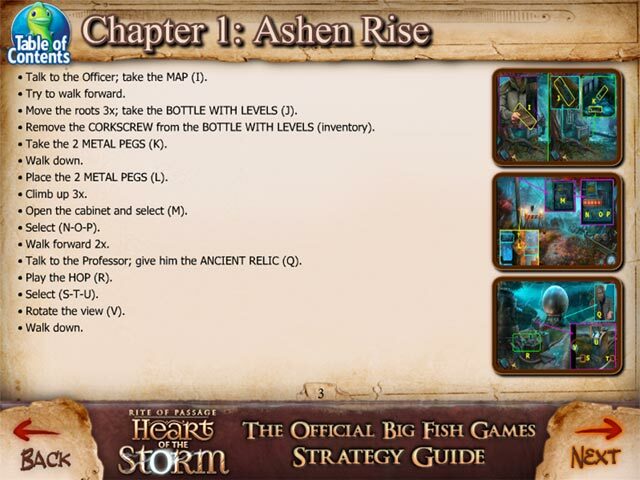 Rated 3 out of 5 by mare244 from Rite of Passage. I'm stuck . It keeps going back and forth from the water bottle to the barn and back again. It just goes back and forth.